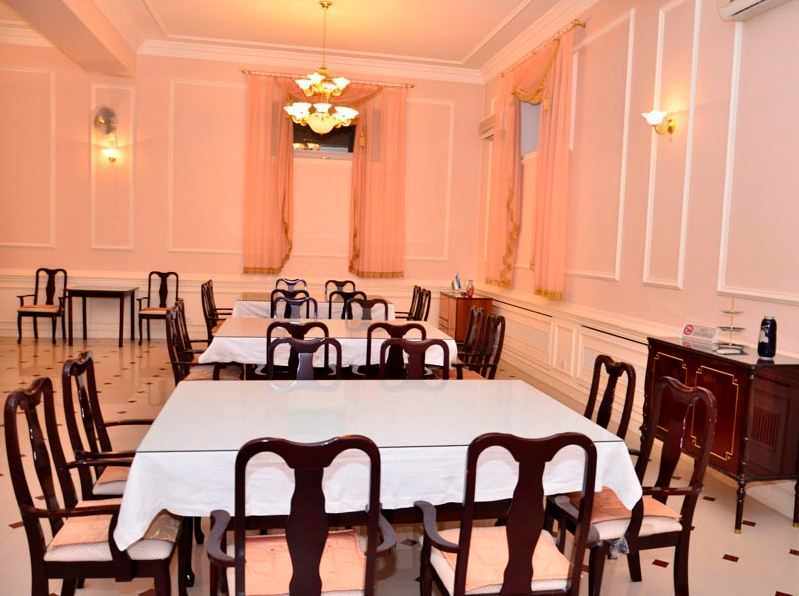 The hotel «Konstantin» is ideally located in the modern part of the town and welcomes its guest with the comfort of 41 luxurious bedrooms, are beautifully furnished providing satellite TV, international and IDD, mini bars, air condition and well-equipped bathrooms. A special offer for VIP’s is our two luxurious bedrooms adorned in Italian style. 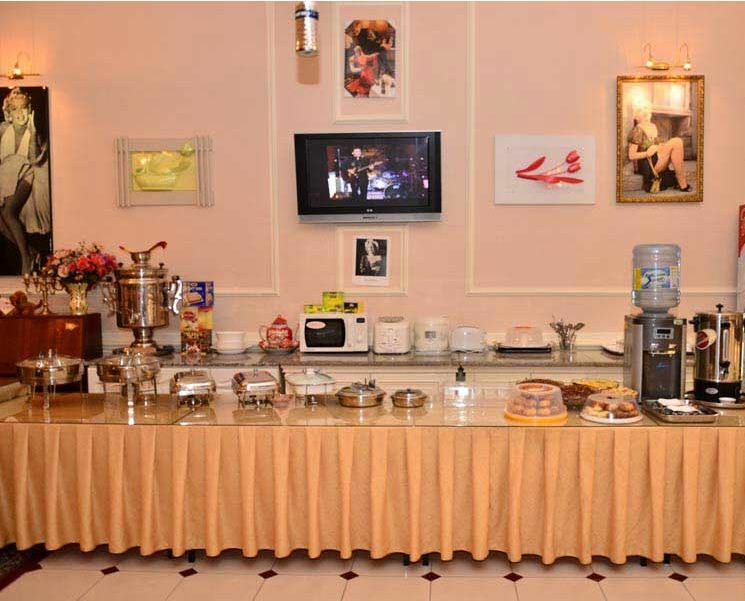 Enjoining the cozy atmosphere of our bar and restaurant, you and your guests will be offered a wide variety of dishes of international and Uzbek cuisine as soft and strong drinks. 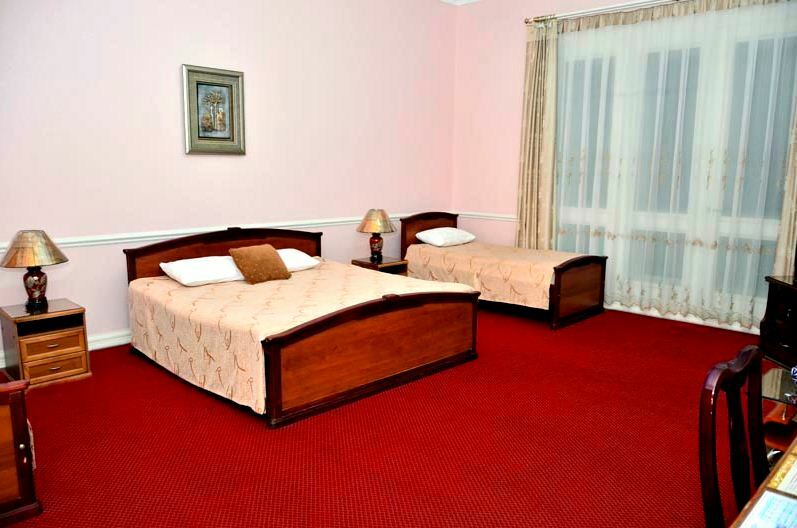 The guests of the hotel will enjoy sauna and indoor swimming pool, fax and internet, laundry facilities round the clock. You and your guests are offered high quality European services with underlying Oriental hospitality. Our staff is eager to serve you and leave a most favorable impression of our Hotel and our city in general.